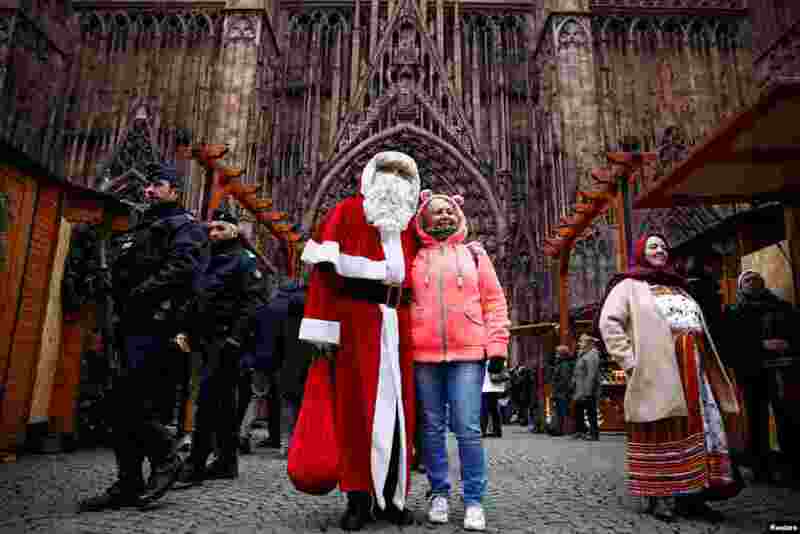 1 French police patrol outside the Strasbourg Cathedral as a man dressed as Father Christmas poses with a tourist, in Strasbourg. 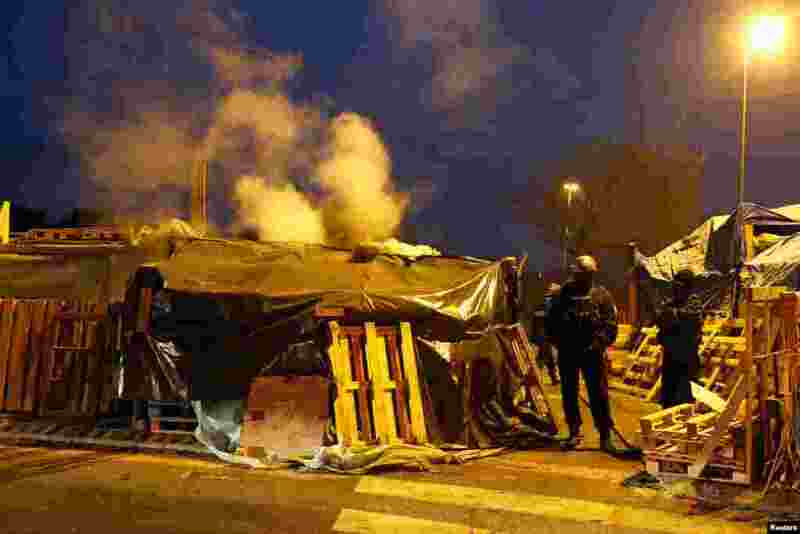 2 Policemen stand guard before dismantling a yellow vests camp at a traffic island near the A2 Paris-Brussels motorway in Fontaine-Notre-Dame, France. 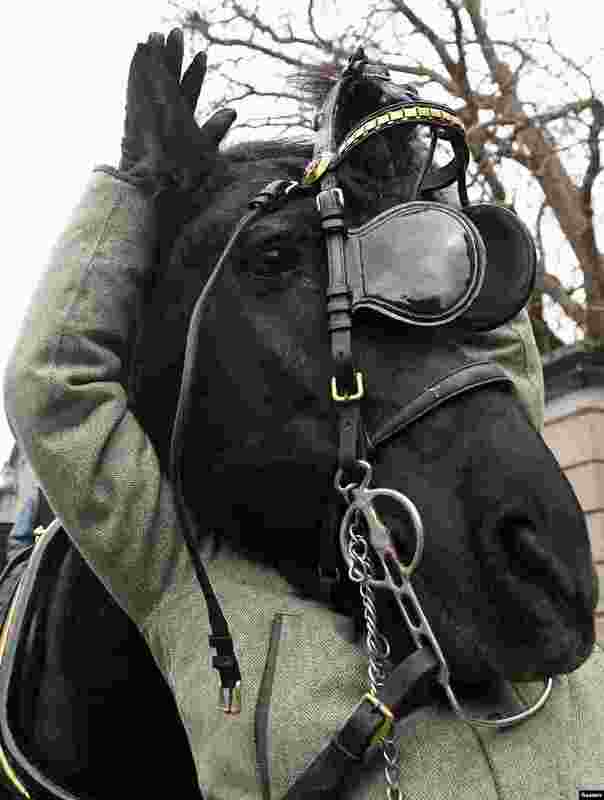 3 Sinn Fein commemorate the centenary of the Irish 1918 general election by posing for a recreation of an iconic photo taken outside Government Buildings on this day 100 years ago in Dublin, Ireland. 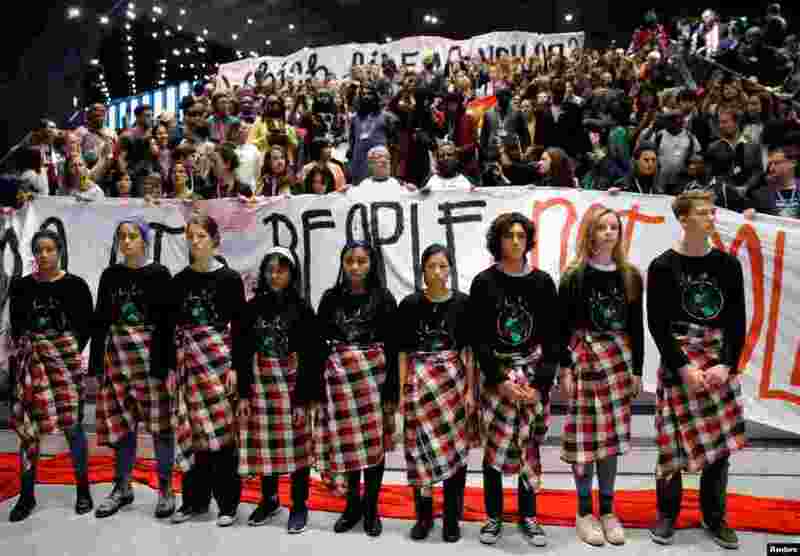 4 Children participate in a Global Campaign to Demand Climate Justice demonstration before the final session of the COP24 U.N. Climate Change Conference 2018 in Katowice, Poland.